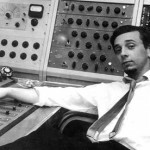 By DJ Salinger, LOS ANGELES – Despite the general lack of interest, spell-binding stories keep surfacing regarding sensational superstar pop music producer Phil Spector, now imprisoned for murder inside the seaside Sing Sing prison. Tuesday, a local L.A. lad appeared to have discovered a bottomless tomb under Spector’s mammoth residence/studio. “I crawled under there looking for my baseball and I think I found a tomb full of unknown session musicians,” the boy, Darryl RJ Dennison, 37, said.